The February Hemper Box is here! The Gentleman is a big Hemper fan. 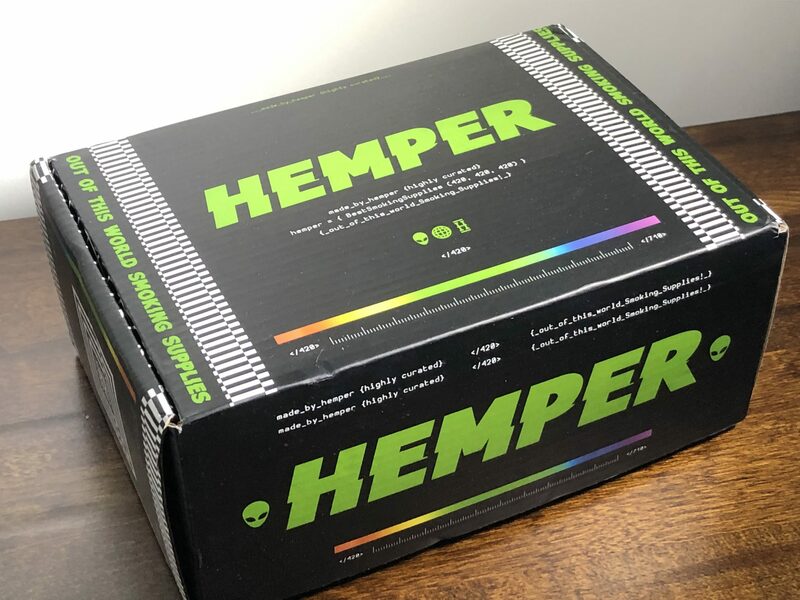 I’ve reviewed a handful of subscription boxes for stoners and The Hemper Box is my favorite so far. 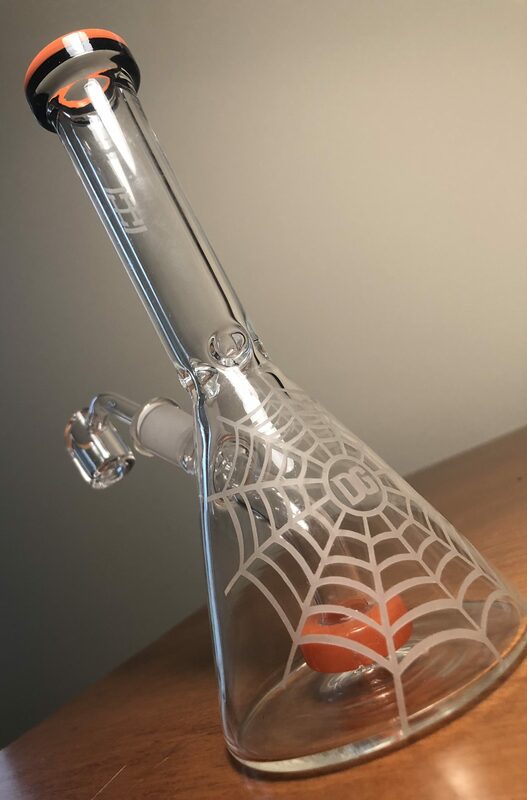 The monthly bong or dab rig you get is an attractive piece of glass that’s fun, not kitsch; functional, but never basic. Plus you get some other useful gear, smoking essentials, and always-welcome cleaning supplies. Ok ok let’s see what we got this month already! See what I mean? Hemper’s UFO bong unique shape is pretty slick and the spaceship itself flows right into the piece creating a nifty handle, while a confused cow adorns the side, getting tractor-beamed up along with a smooth hit through the stem’s row of diffusers. 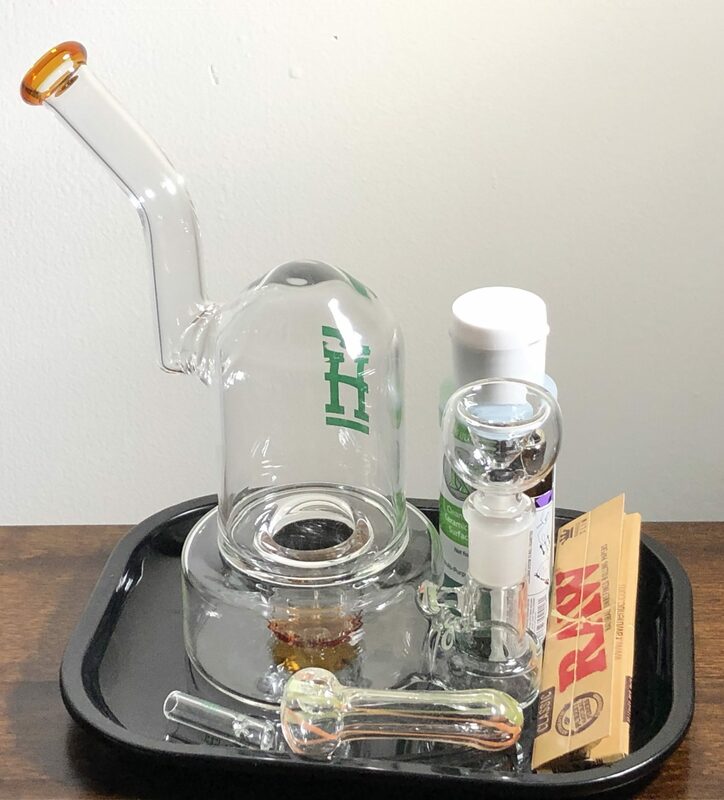 You can get all that shipped to your door for $30! Never face the outside world again! Shun it if you so choose! SHUUUUUN IT. If you want a February Hemper Box- they’re going fast (82% sold out as of this writing)- please use your Gentleman’s affiliate link to purchase so I can afford to go out to dinner by myself on Valentine’s and stare longingly at couples while sighing at a volume loud enough they must have heard me, cuz restaurants won’t let you do that for very long if you only order water and I’d like to freak some people out. 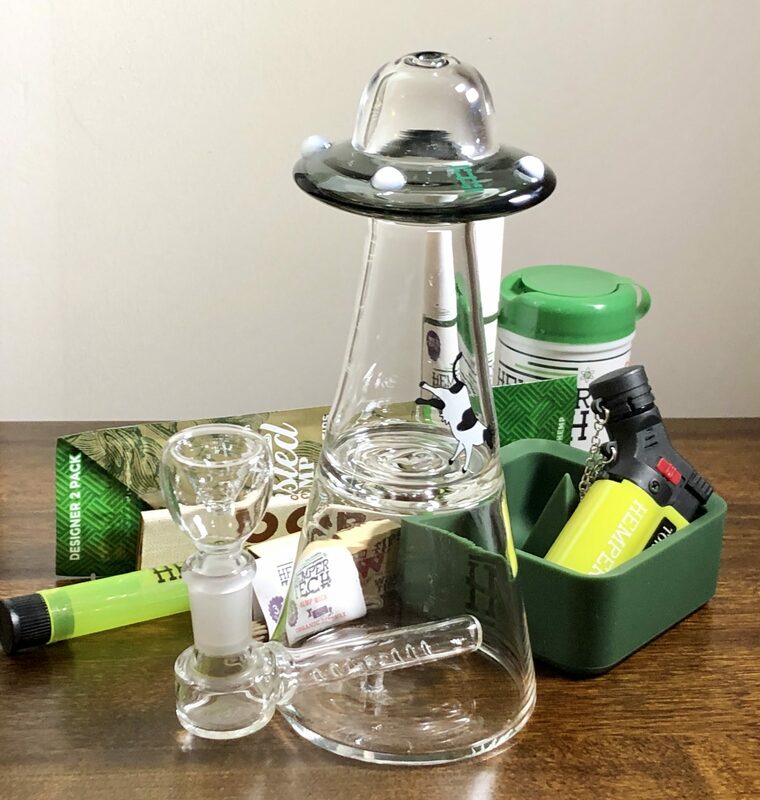 Gear, Head Shop, Hemper Box, Marijuana Business, Now Available, Shipping, Subscription Box. Bookmark.